Directional, unshielded interconnect cable made of two twisted solid-core pure UK silver (99.99%) AWG26 conductors. The two conductors are twisted together at 50 turns per one meter. The cable is then covered with two more layers of unbleached cotton providing an additional mechanical protection to the conductors. 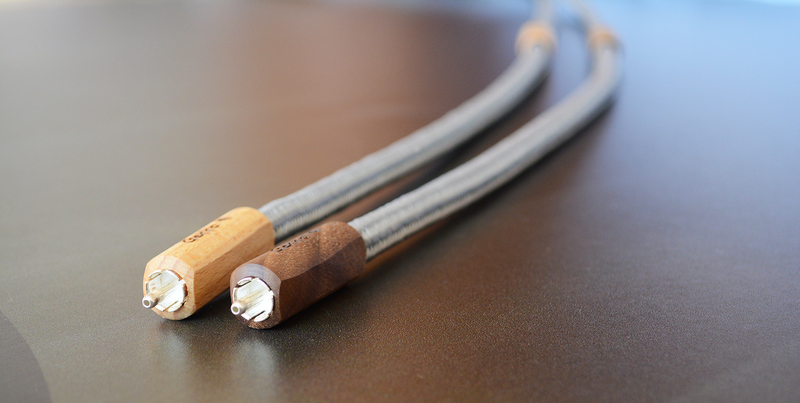 Gekko Silver Cloud interconnects are terminated with a custome RCA plugs utilizing thin-walled tubular contacts made of oxygen-free copper and silver. This provides distinct improvements in clarity, smoothness and dynamic range. Positive connections are silver cladded OFC, while negatives are silver plated OFC. 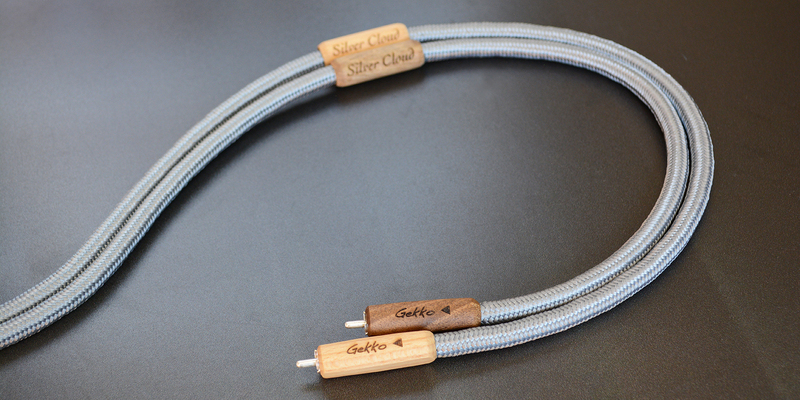 The sound of the Gekko Silver Cloud cable is extremely open, natural and warm. It is able to transfer subtle details and ambient information without distortion or coloration. This cable will rival the best and the most expensive interconnects in the World. Like the RCA cable, the balanced XLR version is also an unshielded interconnect cable, however it is made of three twisted solid-core pure UK silver (99.99%) AWG26 conductors insulated by unbleached cotton. 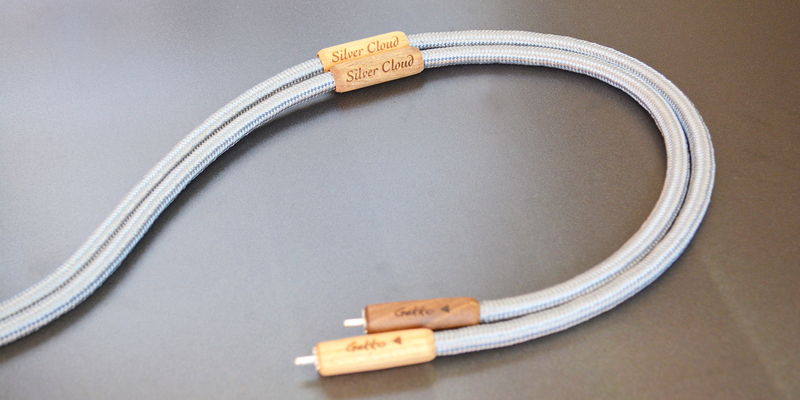 The Silver Cloud is a true high-end speaker cable. Each conductor is made from 4 strands of solid-core UK silver (99.99% pure) wire, each covered in unbleached cotton. Plus and minus wires are twisted together and 4 pairs of strands are protected by a heat-shrink, then PVC expandable braid. The design is based on our philosophy to keep things as simple as possible: use the best conductors in the best dielectric and it will give the best results. The Silver Cloud could be terminated with silver-plated copper spades or banana, or without termination.